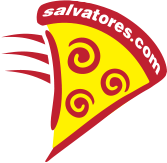 Salvatore's Mystery Shopper is a program to ensure that our quality & service is consistent throughout the chain. We're looking for customers to provide honest feedback & suggestions to make your experience at Salvatore's pleasant & orders be fulfilled promptly & accurately Please complete the following form to be considered for the Mystery Shopper program. All information submitted will be held in strict confidence. If we have a mystery shopper already in your area, we will save your application for future consideration.